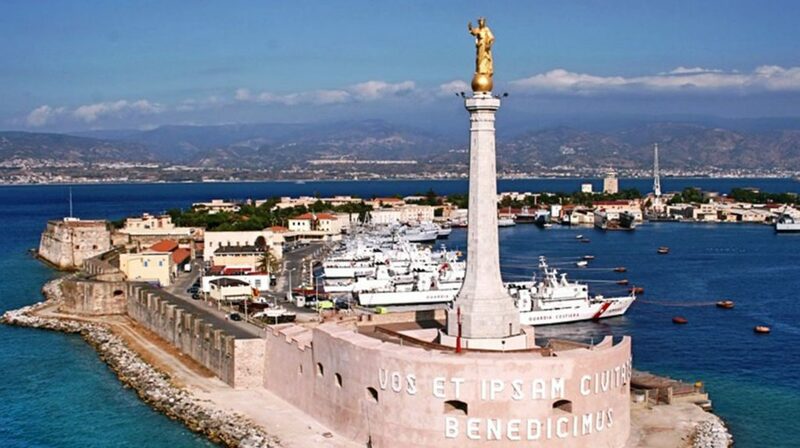 The Madonnina del Porto, symbol of Messina, embraces and blesses with the famous phrase “Vos et ipsam benedicimus” (We bless you and the city itself) taken from the sacred text that, according to tradition, The Virgin herself wrote in AD 42. The stone, designed by the engineer Francesco Barbano, is a work by sculptor Tore Edmondo Calabrò from Messina, that made it in 1934 on commission of the archbishop Angelo Paino. 35 metres high, it has an octagonal plant, in cement and covered with stone of Trapani. On the top, the bronze statue of Madonna della Lettera (Virgin of the Letter), patron saint of the city, it is inspired by the simulacrum by Lio Gangeri, carried in procession on June 3rd. 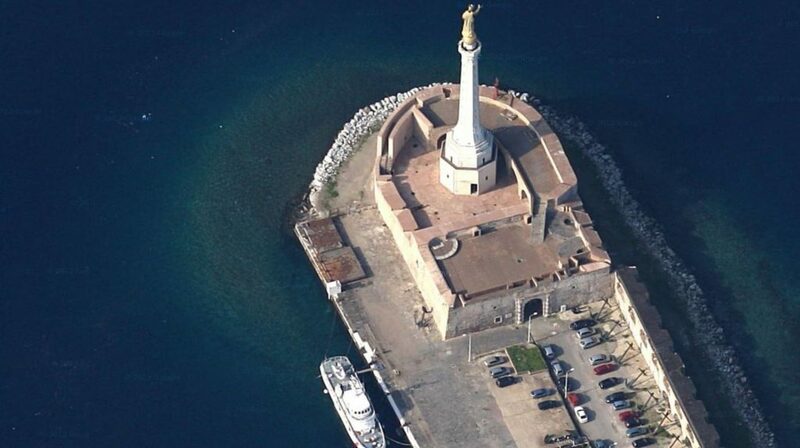 The Stone is placed on the tower of Forte (Fort) San Salvatore, at the end of the typical sickle of the port. It was the emperor Carlo V to replace the Basilian monastery del Santissimo Salvatore dei Greci, important religious and cultural centre, demolished and rebuilt in the north zone, with the fortress. 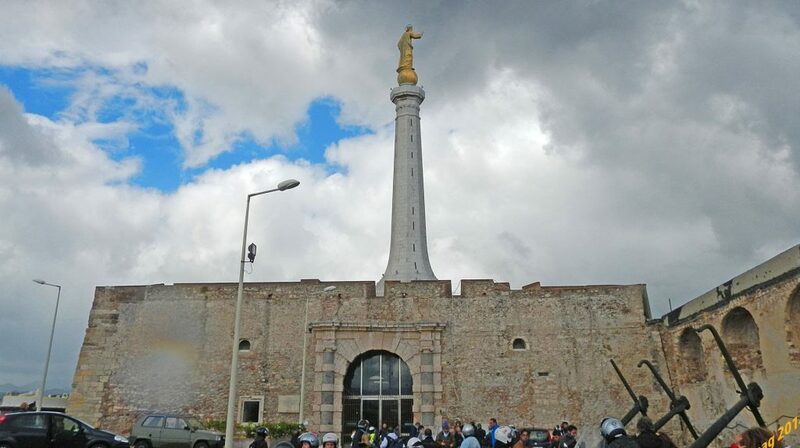 Some permanent exhibitions on the history of lighthouses, on the ancient cartography of the Strait and on the Italian Navy have been set up in the main body of the Fort called Campana.